Is the Acura MDX all-wheel drive? This and other FAQ answered. 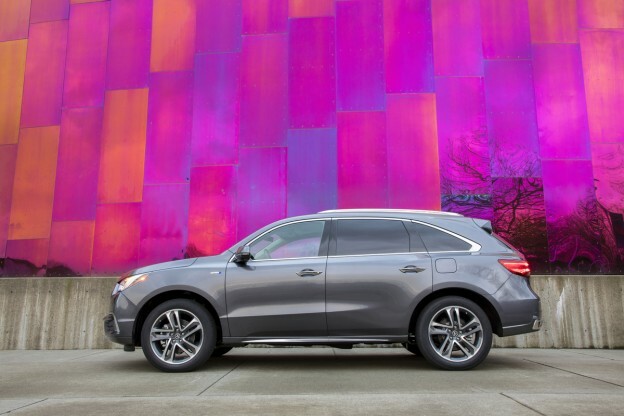 If you are in the market for a large luxury SUV, you are probably considering the 2017 Acura MDX (and if you weren’t, keep on reading to know exactly why you should be). It has a stellar reputation for reliability and excellence, packs a slew of technology in a luxe package and can sit seven passengers in utmost comfort. Understandably, you may still have some questions about the 2017 Acura MDX—and we are happy to answer them. Here are some of the most frequently asked questions about this SUV. Is the Acura MDX all-wheel drive? Yes, every single version of the 2017 MDX comes standard with all-wheel drive. Every version actually comes with the same drivetrain: a 3.5-litre V6 paired with a 9-speed automatic transmission. The only exception to this rule is the Sport Hybrid, which features a 7-speed gearbox and a tricky AWD system using electric motors to power the back wheels. Can an Acura MDX run on regular gas? Like many high-performance vehicles, the 2017 Acura MDX recommends that you feed it with premium fuel. While you CAN use regular gasoline if you’re somewhere where there is no premium, the engine has been fine-tuned to run with a specific octane rating in mind; using a lower grade of fuel will diminish engine power and actually be detrimental to your fuel economy. Can an Acura MDX be towed? Theoretically, yes. However, there are a few things to consider if you want to tow a 2017 Acura MDX. Since the SUV is all-wheel drive, you can’t simply put it on a dolly and drive away; you would need to completely disconnect the driveshaft, which could end up being pretty complicated. Solution? If you’re in trouble and need to have your MDX moved, use a flatbed towing service. Can an Acura MDX pull a trailer? Yes! The MDX can actually tow up to 2,268 kg. That means it can easily haul a pair of snowmobiles, or even a small boat. 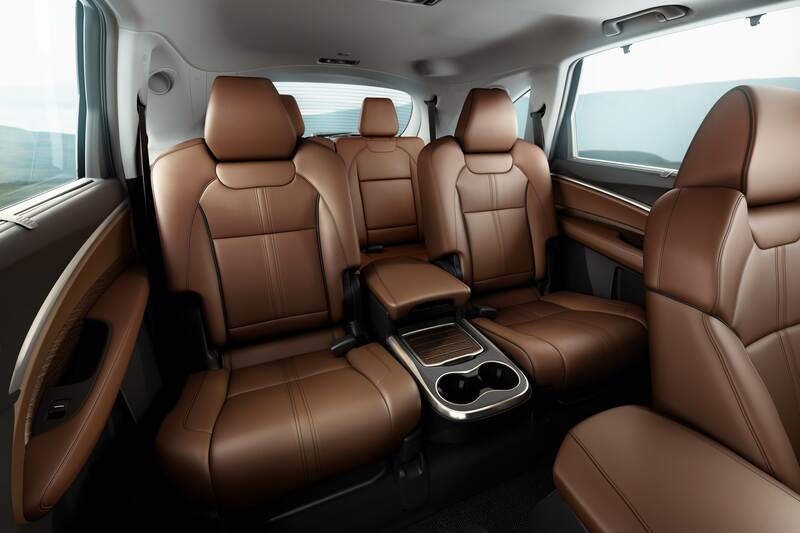 Does the Acura MDX have third-row seating? One of the key features of the 2017 MDX is that, yes, it comes standard with third-row seating, so you can seat seven regardless of the trim level you chose. However, if you want more comfort for the passengers in the second row, you can opt for the Elite 6 Passenger variant; it swaps the second-row bench for a pair of captain’s chairs. How is the Acura MDX in the snow? Pretty much like you would expect a modern AWD SUV with the very latest safety technologies onboard. 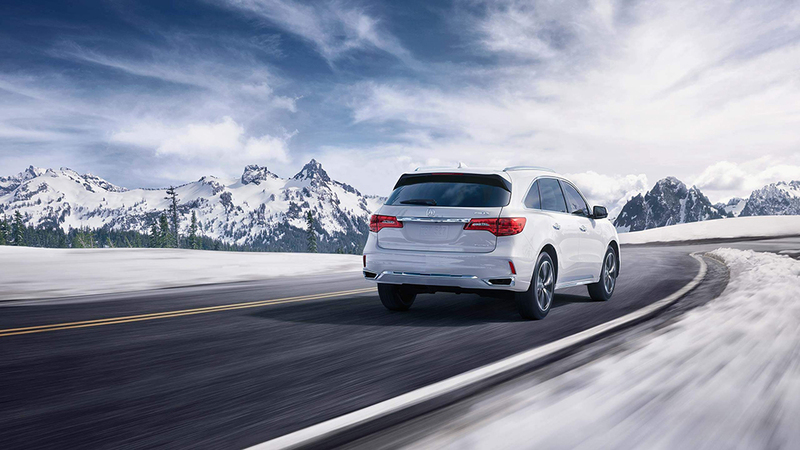 Thanks to Acura’s Super Handling All-Wheel system, this vehicle will be able to bring you and your loved ones wherever you need to go, regardless of what the weather throws at you. Is the Acura MDX bigger than an RDX? The MDX is indeed a little bit longer, larger and wider than our RDX, mainly to accommodate the aforementioned third row of seating. However, despite its size, you will be surprised just how nimble the MDX actually is. Where is the Acura MDX made? Since the MDX is primarily sold in North America, it is built close to home. Most of the production comes from Lincoln, Alabama, while a new plant in East Liberty, Ohio, recently opened its doors to increase supply. 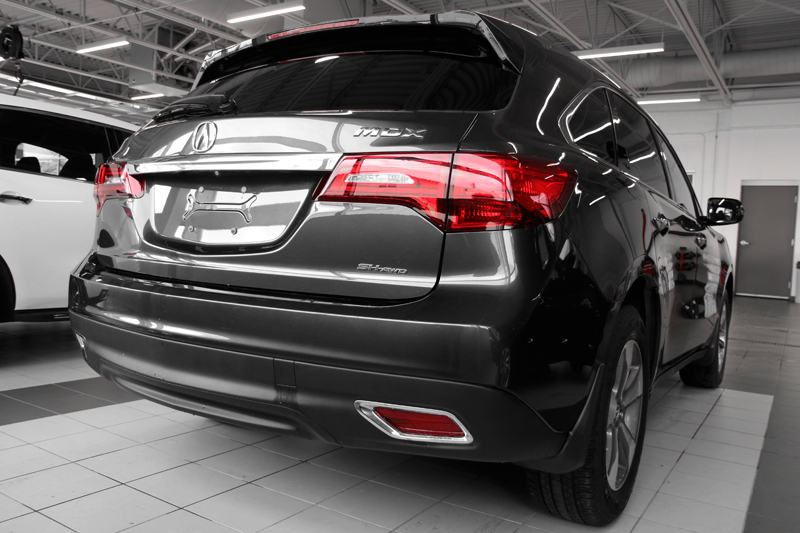 Should you have any other questions about the Acura MDX, don’t hesitate to reach out. This entry was posted in Blog on August 27, 2017 by Fred Gaulin.